Winning awards improves company morale and raises your credibility and visibility. Let our PR company do the legwork. We find and apply for industry awards that will make your company shine. Company awards can do wonders for your organization. Awards build credibility and lead to news coverage that may increase visibility and improve your company’s reputation. 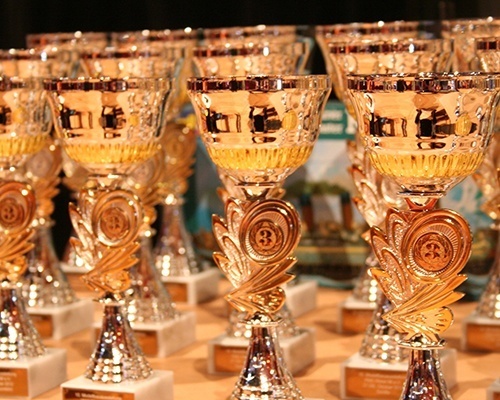 Awards also help validate your success, while building much-needed motivation for your team and loyalty among customers. Customer loyalty is a contributing factor in driving company sales and increasing profits, making your company more attractive to consumers while pushing your brand to the top. In addition, awards give your organization the ability to attract and retain employee talent. In short, awards will educate and attract the community, new customers and new employees. If you want to win awards and mindshare for your company, Axia can help. Using our AwardAbility program, we'll do the legwork for you by identifying relevant local, regional and national community, business and industry awards for your company and we'll use them to earn you recognition. We know how to position your company by leveraging your unique and compelling business story, company culture, solutions and corporate citizenship to secure awards pertaining to ethics, growth, leadership, products, community service and employment excellence. Your most important audiences (that is, consumers and employees) will notice and gravitate toward your company’s hard work when you earn awards that drive your company to the top, helping you become an industry leader.